We also met with regulatory agency staff and lawmakers on Capitol Hill to discuss and advocate real estate issues affecting the Chattanooga region’s real estate industry, businesses and communities. The main areas of focus included several significant issues including fair housing, flood insurance and internet neutrality. Realtors are the leading advocates for homeownership and commercial real estate, which is why it is critical that we connect with lawmakers and ensure they understand the issues facing the real estate industry and their constituents – of which many are home and property owners. Supporting home and property owners through smart legislation and regulatory initiatives is essential to advancing our nation’s economy, as well as our communities, so Realtors are continuing the fight to keep Congress’ attention on the issues that impact real estate the most. While in Washington, Greater Chattanooga Realtors met with Senators Lamar Alexander and Bob Corker and Representative Chuck Fleischmann on Capitol Hill to discuss and advocate for public policy decisions affecting Americans’ ability to own, buy, rent and sell residential and commercial real estate. When speaking with elected officials, we acknowledged the 50th anniversary of the Fair Housing Act and urged Congress to adopt sexual orientation and gender identity as protected classes under the Fair Housing Act, bringing it in line with the National Association of Realtors’ strict Code of Ethics. Additionally, Realtors advocated for strong net neutrality protections, fought to extend and reform the National Flood Insurance Program and urged Congress to index homeownership deductions for future inflation and permanently extend the tax exclusion on mortgage debt forgiveness. Greater Chattanooga Realtors are proud to lead the way toward greater equality in housing opportunities and are committed to furthering policies that support sustainable and inclusive communities without discrimination. During the meetings, we also heard from industry experts and leaders, including Acting Director of the Bureau of Consumer Financial Protection Mick Mulvaney, who spoke about the latest initiatives out of the CFPB, plans for improved efficiency of agency operations and his perspectives on issues shaping the real estate industry. In addition, attendees heard from U.S. Department of Housing and Urban Development Secretary Dr. Ben Carson, who discussed the nation’s commitment to fair housing during the conference’s General Session; U.S. Rep. Emanuel Cleaver (D-Missouri), who shared a personal story with attendees about the importance of safe and affordable housing for all Americans; realtor.com Chief Economist Danielle Hale, who provided an overview of current conditions in the residential and commercial markets; Federal Emergency Management Agency Administrator William “Brock” Long, who addressed a broad range of disaster and emergency management topics, such as National Flood Insurance Program reauthorization and federal disaster relief; and NAR Chief Economist Lawrence Yun, who shared residential and commercial real estate market updates and forecasts for the remainder of 2018. Greater Chattanooga Realtors also had the opportunity to explore the latest industry innovations and receive the most recent information on the products and services from nearly 100 industry-leading companies that participated during the trade expo. Want to be the first to know when a call-for-action arises? Sign up for Realtor Party mobile alerts by texting the word REALTORS to 30644. Greater Chattanooga Realtors is “The Voice for Real Estate in Greater Chattanooga.” A regional organization with more than 2,000 members, Greater Chattanooga Realtors is one of some 1,300 local boards and associations of Realtors nationwide that comprise the National Association of Realtors. 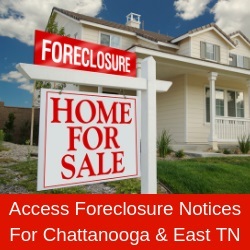 Greater Chattanooga Realtors service Hamilton and Sequatchie counties in southeast Tennessee, and Catoosa, Dade, and Walker counties in northwest Georgia.